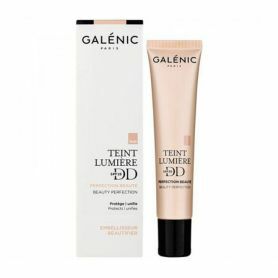 The tinted complexion of the Tint Light range moisturizes and illuminates the face in a single gesture. It leaves the skin soft, comfortable and matified. Rich in natural active ingredients, it promotes a lasting hydration of the epidermis while illuminating it. It beautifies the complexion and makes it brighter. A moisturizing and beautifying complexion care. l preserves the epidermis from drying out by retaining water in the heart of the cells. due to too frequent exposure to the sun. 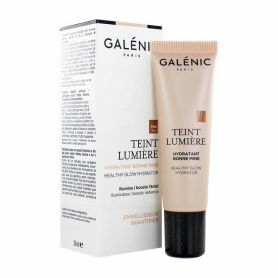 An innovative formulation for a luminous complexion. The Amazonian uncaria is rich in antioxidant compounds. 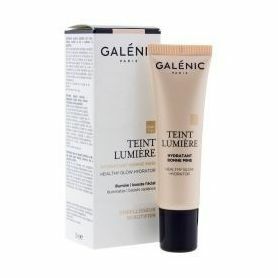 It revives the radiance of the complexion of the interior. Betaine from beet is the ally of dry and dehydrated skin. It recharges the skin cells in water. Soothing, it relieves irritation and inflammation. The mineral pigments give the epidermis a natural color without mask effect. Absorbent powders provide a durable matte finish. This product is suitable for all skin types. face stretching from your nose to your cheekbones and towards the outer edges of your cheeks. Water (Aqua), Cyclopentasiloxane, Dimethicone, Propanediol, Betaine, Titanium Dioxide (CI 77891), Simmondsia Chinensis (Jojoba) Seed Oil, PEG-PPG-18/18 Dimethicone, 1-2 Hexanediol, Aluminum Starch Octenylsuccinate, Sodium Chloride, Butyrospermum Parkii Shea Butter, Citric Acid, Disodium EDTA, Ethylhexylglycerin, Fragrance (Fragrance), Hydrogenated Lecithin, Iron Oxides (CI 77492), (CI 77491), (CI 77499), Mica, PEG-10 Dimethicone, Propylene Glycol, Sodium Stearoyl Glutamate , Tocopherol, Tocopheryl Acetate, Uncaria Tomentosa Extract.